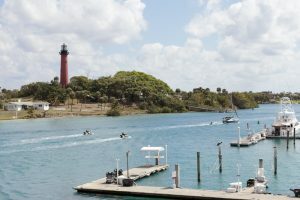 Live or own a business in Jupiter, Florida affected by mold? Because of the dangers mold can have on health, it’s vital to hire experts for your business or home mold removal. A Plus Mold Remediation Inc. can provide you with all the mold services you may need in the South Florida area! It’s common that people think they can remove mold themselves either by utilizing home cleaning solutions or even masking it with a layer of paint. However, mold is a living and growing material which needs to be addressed by professionals to be sure that it doesn’t return. Only business and home mold removal specialists can offer the equipment, knowledge, and treatment that can effectively and safely remediate mold. Mold is a fungus, which means it’s alive. It spreads by releasing tiny, miniscule spores which cannot even be seen with the naked eye. These spores can travel through the air, easily coming into a home or business to find a suitable environment to grow. Since mold is living, it requires water to grow and remain alive. 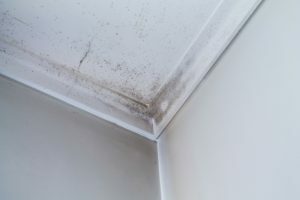 The first step in mold remediation is finding out how mold has access to water, whether it be a plumbing leak or too much humidity in the air. There are hundreds of different types of mold. Some are dangerous and others are not. Only a professional home mold removal service can identify and test mold to find out exactly which type is evident. And, establish the safest and most effective method of remediation. Mold can be present both in and outdoors since it can grow practically anywhere as long as it has access to a moist environment. Mold gives off a pungent, stale odor, which can help in determining where it resides in a home or business. Remediating mold from almost any surface of a business or home like flooring, ceilings, drywall, furniture, and cabinets! We have a NADCA/ASCS certification through the HVAC Inspection, Maintenance and Restoration Association of America. We offer a few services including mold identification, mold testing, general cleaning, and HVAC vent cleaning along with mold remediation. We only utilize top-of-the-line advanced technology which helps to determine types of mold and the best methods of safely remediating the issue so that you can go back to a clean environment! We can help people with a home or business affected by mold in any area of South Florida, including Jupiter! Need Business or Home Mold Removal in Jupiter, Florida? Remember, you don’t want to go about removing mold yourself and keeping your employees or family at risk for lung disease or other health concerns mold may cause. So, invest in a professional service which guarantees the remediation of mold in your home or business! If you’d like to set up a consultation to receive a free, no obligation quote for our services, contact us today!